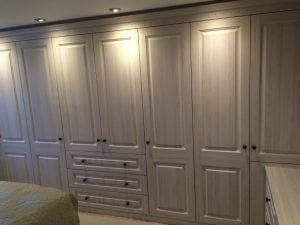 A very happy customer who found us on the internet and ordered their new fitted bedroom through our Sheffield showroom in the Atkinsons store. 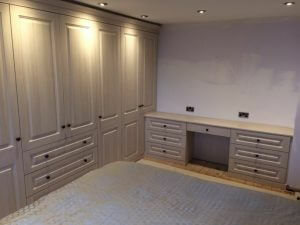 They fitted bedroom was in Cream White Avola and from our new Charnwood range, selecting the Woodhouse design. The customer was very happy the design, fitters and price! ‘Everything was straight forward from the time the designer came to measure up, with no pushy sales or fancy gadgets. We liked the idea the wardrobes came with back in (not everyone offers that).